Culver City is a city located in western Los Angeles. The city is surrounded by Mar Vista, West Los Angeles, Westchester, the Baldwin Hills and Ladera Heights. Culver City was founded by Harry Culver in 1913 and the city was incorporated in 1917. The first film studio in Culver City was built in 1918. In the 1920s, silent film comedy producer Hal Roach and Metro Goldwyn Mayer (MGM) would build studios in Culver City. During Prohibition, speakeasies and nightclubs such as the Cotton Club lined Washington Boulevard near the studios. 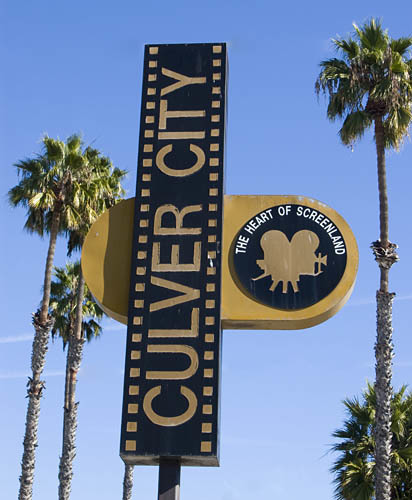 In the 1990’s, Culver City launched a successful revitalization program in which it renovated its downtown as well as several shopping centers in the Sepulveda Boulevard corridor near Fox Hills Mall (now Westfield Culver City). Around the same time, the relocation of Sony’s motion picture operations (known as Columbia Pictures) to the former MGM studios at Washington Boulevard and Overland Avenue also brought much-needed jobs to the city. Culver City is now a diverse, prosperous middle-class community.